There is No Public Parking at the lake on March 30 & 31. Please refer to the maps where you can and cannot park during the festival. We recommend that registered teams please try to carpool as parking is very limited at the marina. 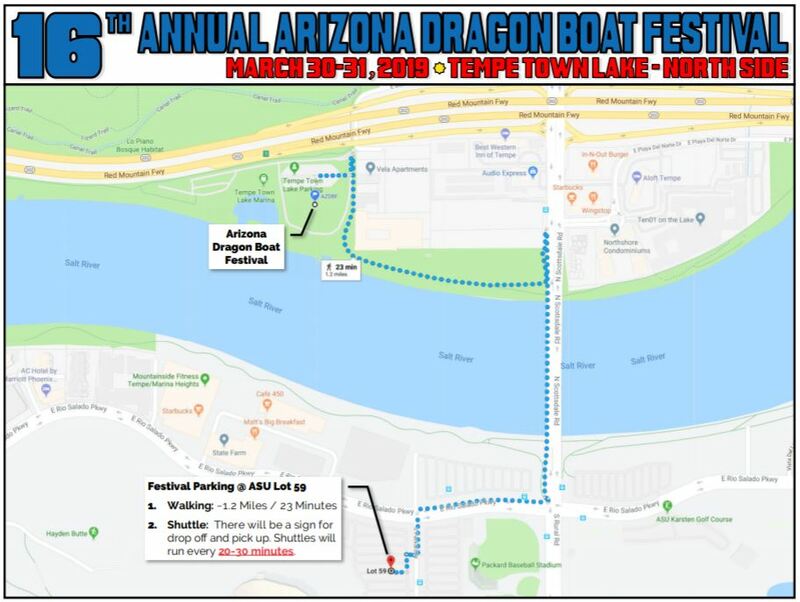 Our air-conditioned shuttles will run every 20 to 30 minutes — pick-up location is at the ASU Lot 59 off of Rio Salado and will drop you off at the marina location where the racing will take place. The shuttle is a fifteen-minute ride, walking from ASU Lot 59 should take approximately twelve minutes, depending on your path of choice. 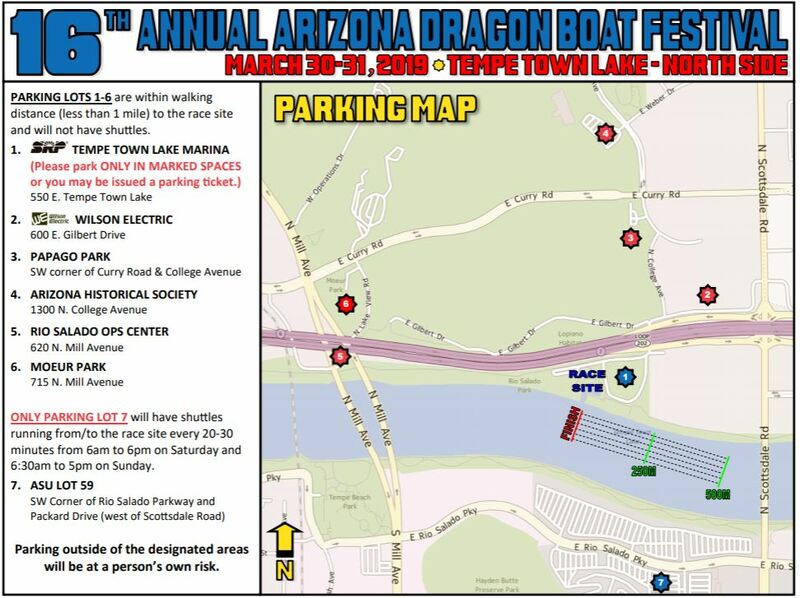 Return shuttles from the lake to ASU Lot 59 will also be available. Please follow all parking laws around the city.